Also have a look at our weekly post on what do this week-end in London! Online on Wednesdays. 1. Sip on a glass of Champagne at Vertigo. From the 42nd floor, the transparent tables along the windows make you feel you have London at your feet. Magical indeed. 2. Travel in time: step aboard the British Pullman for a day or an afternoon tea. 4. Walk at the top of the trees in Kew Gardens. 5. A gift idea for gentlemen – a shaving session at Murdock‘s. Their cheeks will be the softest ever and they will feel quite sophisticated and cocooned. 6. A gift idea for ladies – get them a personalised necklace at Tatty Devine: their name/nickname or the adjective that describes them best. 7. Go to the whispering gallery at St Paul. As it circles the interior of the dome, the acoustic is very special: you can whisper sweet words on one side and they will be heard on the other. Ideal if no one else is around, of course (like lunch time). 8. Ready to pop the question? You might want to go to ECone together and design very unique rings. 9. Enjoy Southbank but without the tourists. This garden, in front of Westminster but without the tourists, offers a gorgeous view on the Parliament at sunset time. 10. Get this London guide book for lovers – lots of sweet ideas. 11. Book tickets for one of the concerts in St Martin’s Crypt – such a wonderful atmosphere! 12. Love supperclubs? Did you know Mrs Marmite can organize a dinner for two in her garden? 13. Walk along the Thames, on the Hammersmith side and finish at the terrace of the Dove for a glass of wine. Beautiful view on the river and the Hammersmith Bridge. 14. Love tango? Try the Waldorf tea dances. The atmosphere is exceptional. 15. Go to Hampton Court. Did you know you can go on a carriage ride there in the summer? 16. Sunny days ahead? Why not plan a picnic? With Picnic 2 U, it could be delivered at your place to make it even easier. 17. For a movie evening, try the Electric Cinema – comfortable leather chairs and even a small table space to put a few nibbles and glasses of wines. Oh, and even really fab donuts. 19. For a memorable evening, don’t miss the Secret Cinema. The film will only be revealed through clues before the day, you will need to find a costume (1920ies, a specific colour…), some iconic scenes will be recreated. It has, time after time a wow effect. An experience to share. 20. Fly away in hot air balloon with Adventure Balloon, what a beautiful way of seeing London! 21. Try the restaurant Dans le noir. Literally, In the dark. Laughs guaranteed and lovers will find each other’s hands quickly indeed. 22. Nothing will make eyes sparkle like love words. Well, wait, champagne will do that too. Better go for both, don’t you think? Champagne + Fromage is a gorgeous slice of France near Covent Garden and you are sure to have a sparkling time there. They do formidable creative tartines and the dessert is, definitely, out of the ordinary. 23. In June, walk through the rose garden in Hyde Park. Romantic indeed. 24. By the way, the Serpentine is nearby, why not rent a boat? 26. Sip a cocktail at Vista with a fab view on Trafalgar and everything around. A bit expensive as there is a £5 fee/person to get in + the price of your drinks but it is so worth it. They have private evenings from time to time so do check the opening times on the website. 27. Get a spray can and tag your love in the Leake street tunnel. Yes, it is legal, no need to worry! 28. London Walks has a wonderful walk in Little Venice. Do it in advance and retrace your steps with your loved one. 29. Want a real break for the week-end but no budget to go travel further than your oystercard limit? Try The Victoria in Richmond. The gastropub is to die for and has a few quiet and lovely rooms too. Even better, Richmond Park is a 10minutes walk away, ideal for a freedom feeling. 30. Share a box of Charbonnel & Walker chocolate & champagne truffles. Or the gin ones to be super trendy. They are divine. They taste even better at the top of Primrose Hill, looking down on London. 31. Roots and shoots opens from time to time their doors to the public so do ask for the dates or get an appointment. In the summer, it is a slice of countryside right in the city with benches and hideaways. 32. In the summer, the Open air theatre in Regent’s Park is such a treat. 33. Enjoy a cocktail at the Loungelover – dimmed lights, the room is divided in several atmospheres, the decoration is pretty magical. 34. Take a midnight ride on the Thames with the Thames Clipper, when the moon is high in the sky. 35. Going to the movies can be done in style. At One Aldwych, for £42.50/person, you can enjoy a 3-course dinner, the screening in their private room – so much cosier and comfier than the chain ones – a glass of champagne and homemade popcorn. 36. Have you ever noticed locks on Tower bridge and the Millenium Bridge? Lovers engrave their initials on theirs, then throw the key in the river as a symbol of eternal love. Kitsch but cute. 38. Did you know you can book an entire London Eye capsule and enjoy some champagne just the two of you or even get married there? 39. Meet in this garden. 41. Dine at Babylon. This restaurant at the top of the building, which belongs to Richard Branson, has the advantage of a huge terrace, a garden and… (real) flamingos. 42. Gordon’s wine bar is often overcrowded so do get there at the end of the afternoon rather than beginning of the evening to get one of those tables under the arches. 43. Buy macarons at Ladurée in Covent Garden then go to the Phoenix Garden to enjoy those. 44. Fancy a fun and moving evening? Try the bedtime stories. Professional storytellers with enchant you (with adult versions of legends, of course). There will be Hendrick’s cocktails and you are to wear your pyjamas/nightgown. The girls are very glamourous indeed, the guys are often classical or add a touch of fun. Unforgettable. Email [email protected] to know the coming dates. 45. Go for a real hot chocolate at Rococo – sit in the tiny, tiny courtyard with a Meridional touch. On a sunny day, it is a very soothing experience. 46. The Argentinian ice cream parlour Freggo stays open till 02.00 on Fridays and Saturdays (23.00 the other days) – perfect to conclude a wonderful evening with a sweet touch. Try their dulce de leche, passion fruit or Malbec flavours. A little expensive but really delicious. 47. A moment of peace – sit in the zen garden in Holland Park. Particularly beautiful in autume when trees are coloured in red and gold. 49. The simplest things sometimes are the most poetic. Like blowing soap bubbles from the top of St Paul, Monument, Tower Bridge and see London reflected in them. 50. Nostalgic of other eras? Go to a tea dance at Spitafields. 51. Rather than sending the usual Valentine card, upgrade to the sweetest version possible by The Biscuiteers, biscuit included of course. Success guaranteed! You can also stop by at their Notting Hill café, personalise it and even post it from there. 52. A walk is always nice but a bit classical. 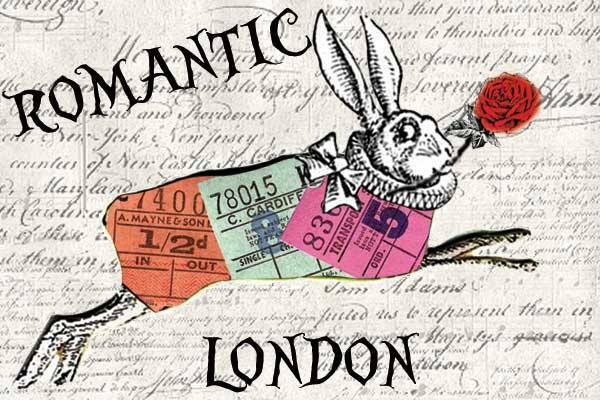 Try this one, treasure-hunt style with clues received by text to find the most romantic spots. 53. For a passionate evening, look for inspiration at Coco de Mer. Temperature will rise immediately. 54. Looking for something more original than flowers? Share a White Cosmopolitan at Bar Boulud. Rose petals are sealed in an ice jewel and will unfold beautifully when melting. Do book, though! 55. First date? Well, in our cinema categories, try the Aubin. Like the Electric Cinema, it offers ultra-comfortable leather chairs. Even better, you will get cushion and a blanket too. Cosy, don’t you think? 56. Walk along the Thames but on the Hammersmith side – gorgeous views on the river, benches, swans, fabulous sunsets painting the water gold and many pubs with a terrace. 57. Still along the Thames, start from Canary Wharf, walking back towards Tower Bridge. Lots of lovely views, and lots of pubs looking onto the water too. Ideally, start towards mid-afternoon to get to the bridge around dusk. Beautiful. Very enjoyable cycling too! 58. The most beautiful walk, though, definitely goes along Chelsea and across the Albert Bridge. At dusk, ah, simply magical. 59. Forget everything in one of the most beautiful spas of the city. The Dolphin Square Spa is inspired by Moroccam hammams – dimmed romantic lighting, lace of candlelight on the walls, Arabian decoration… A wonderful way to escape the routine while staying in London. 60. The best view of London without having to pay the price of St Paul/the London Eye? Step in the glass lift of the Heron Tower and go to the 38th floor where you will find Sushisamba. Less expensive than Vertigo 42, a different experience altogether. Cocktails are very reasonably prices and no one will frown if you just order a fruit juice. This bar-restaurant is on a couple of floors with lots of different lounges and even an open terrace. The panorama is, well, just wow. 61. Strolling around London Bridge? Get away from the tourists and make a detour via Bermondsey street. Independent boutiques, Fashion and Textile museum, White Cube Gallery… and have a drink, a meal at The Garrison, an adorable pub with a vintage deco. They also project movies on Sunday evenings. The cutest/quaintest place you can imagine. 62 – In Shoreditch, a fence is dedicated to these locks on which people leave their initials, a message. Go on, turn them into street artists! 64 – How about having lunch in a gorgeous greenhouse? Really magical and the meal is worthy of a Michelin star. Have a look at our pictures of the Petersham Nursery Café in Richmond. 65. Indulge in a session at the Elephant Lane Studios to write, sing, record your love declaration. Don’t you worry – no musical nor singing talent is required, you will be guided through every step. 66. Looking for the perfect romantic walk in London? Try this sweet itinerary. 68. Sometimes, “romantic” restaurants turn out to be… rather noisy. Try La Belle Assiette. The chef of your choice will come over with all the ingredients he needs, will adapt the menu to your preference/allergies/food diet, will share anecdotes and techniques and will of course tidy up the kitchen before leaving. Brilliant!